Life in our crazy-paced world can get really hectic. Endless assignments, tasks and self-imposed deadlines take all our time leaving no opportunity to be with our loved ones. Or is it better to say that we give all our time to these duties, depriving ourselves of the quality time with family? 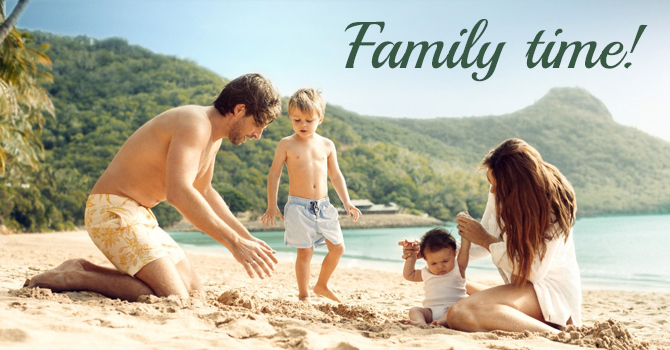 Whatever your life situation is, spending time with the family is very important because first of all it helps children to feel more secure and builds greater family bonds; secondly, it’s beneficial for your own emotional health, and thirdly, your family are the people who will help you no matter the circumstances are. How can you find the time to reinforce family relationships? You shouldn’t find the time; you should create the time making your family a priority. Plan family meetings and events. Family meetings don’t just happen, they are planned in advance. And if you only talk or think about it, without doing anything to make it happen – it won’t happen. Schedule family time! Talk one-on-one. Family meetings are great, but family members also need to spend time one-on-one in order to discuss some private issues. Some things can only be discussed by women, while others need to be discussed by men. As for your soulmate and partner, it’s absolutely essential to spend time one-on-one, otherwise you’ll get alienated and that’s not how loving relationships look like. Find common ground. It will be much easier to have some fun together if you’re doing something that all of you enjoy. So, understand what each inpidual likes and try to find some common activities. It may be a participation in a sports team or a joint charity run or it may be as simple as spending some time in the garden listening to birds. Be present. You may be there, but not present at the same time. Spending quality time with family means that you should put aside your emails, phone and other things that may distract you. Be with your family totally. Be a role model. Did you know that children learn from what you do rather than from what you say? Considering this, you should behave the way you want your children to behave, because your every move is being watched. For instance, a great way to show that you appreciate spending time with your family is actually spending it with your family. Lead by you own example and others will follow. Be there for your family no matter what is happening and your efforts will definitely be rewarded!